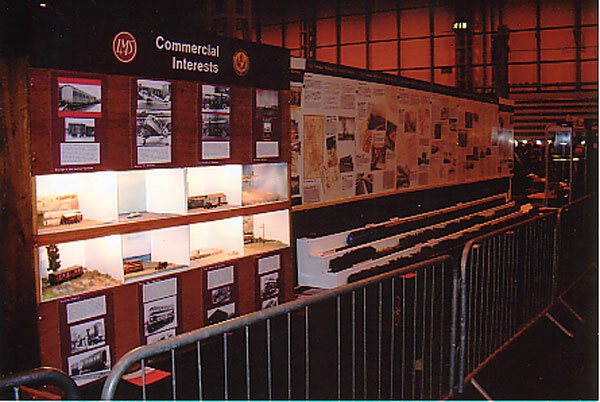 The 2012 winner of the LMS Society's Trophy at the Warley Model Railway exhibition held at the NEC Birmingham on Sat-Sun 24/25 November, was Upton built by Dave Griffin. The LMS Society Trophy is awarded for the exhibit best portraying the LMS or its predecessors. 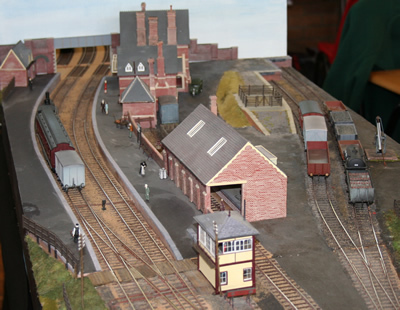 Dave says "Upton is an EM gauge/mm scale layout which was inspired by the track plan of Upton-on-Severn. It is set in the years immediately following nationalisation, hence it is possible to run stock in liveries representing both pre and post nationalisation, in the form of the block lettering and also the lion and wheel emblem. Most of the rolling stock is kit built. 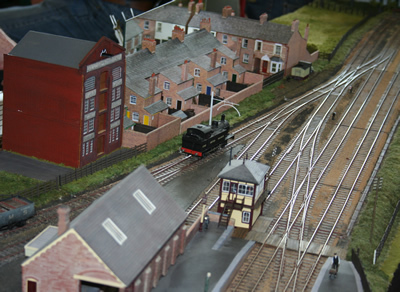 The trains run depict the type of traffic which might have run through Upton-on-Severn between 1935-1955. My one departure from this theme is to run a Derby lightweight single car D.M.U to portray 1955. "Railway services were lost between Malvern and Upton in 1952. At the same time services between Upton and Ashchurch were run on the down line only, although the up line remained in situ. I choose to ignore history and run both up and down lines."